Yes, ABC’s new drama A MILLION LITTLE THINGS is emotional—a close-knit group of friends is rocked when one member takes their own life—but the series isn’t just about inducing tears from its viewers. 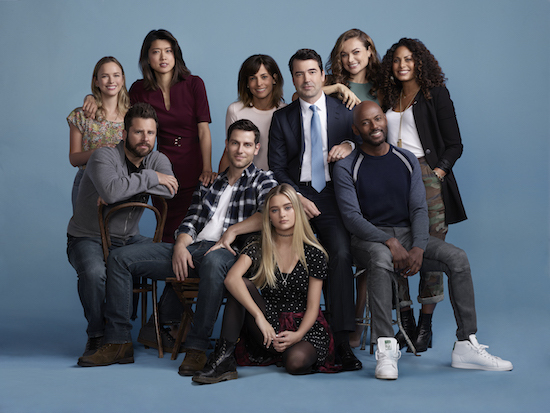 What helps is the show also boasts an all-star acting lineup (many of whom have led their own shows in the past), which means they can tackle the highs and lows of life post-loss with ease: David Giuntoli (Eddie), Ron Livingston (Jon), Romany Malco (Rome), Allison Miller (Maggie), Christina Moses (Regina), Christina Ochoa (Ashley), Grace Park (Katherine), James Roday (Gary), Stephanie Szostak (Delilah), and Lizzy Greene (Sophie). Though the friend group has their own issues (one recently beat cancer, one is struggling with depression, one lost their restaurant, and another is in a bad marriage and has turned elsewhere), the seemingly perfect life of their deceased friend also serves to further rattle them. Will you be checking out A MILLION LITTLE THINGS?